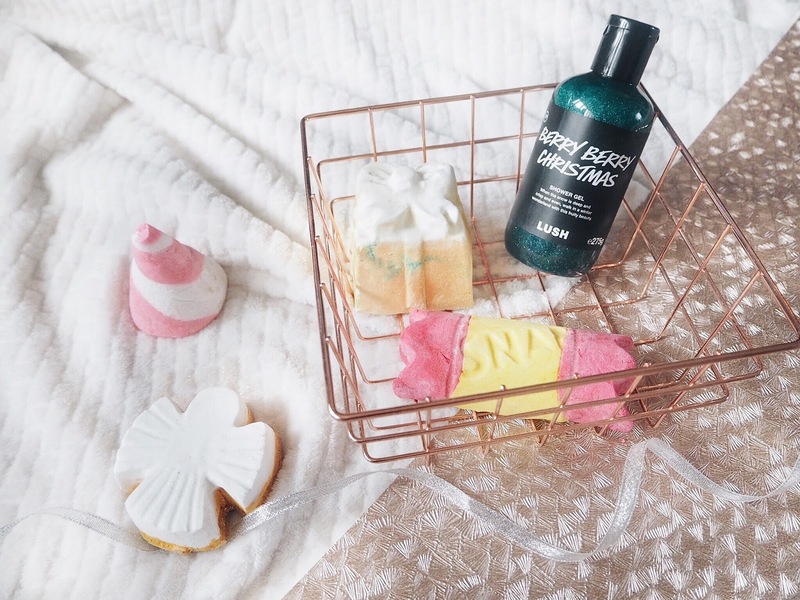 Every year I get excited to see which products LUSH have come up with for their Christmas collection, and this year I was spoilt for choice! There's so many fab new additions along with some returning faves such as the infamous Snow Fairy. 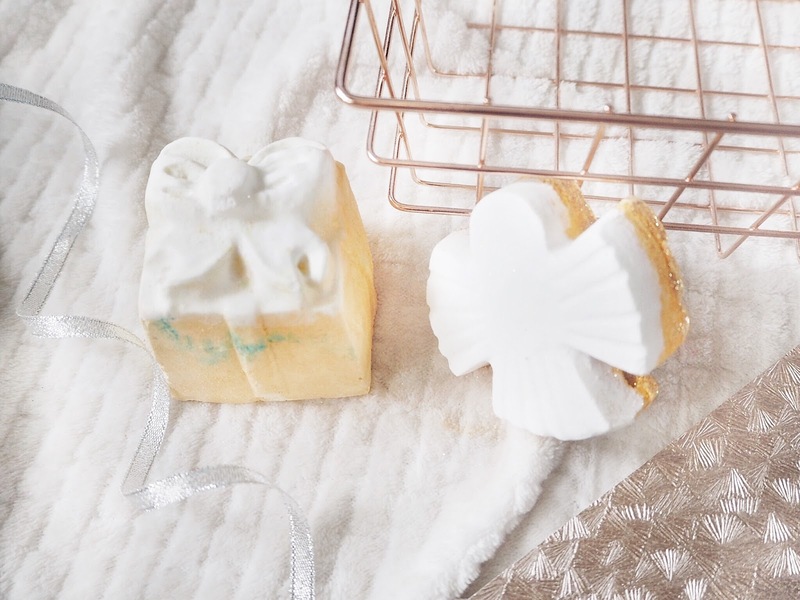 As I've still got some Snow Fairy left over from last year, I've narrowed down the rest of this year's favourites in this post! For bubble bars, the first item added to my basket was obviously Candy Mountain. This is one of the returning favourites and I pick one up every year. It smells a lot like Snow Fairy (I think it may even be the same scent?!) and it makes one dreamy bath. I also picked up the Christmas Cracker as it smells unreal! It's very citrusy so if you like lemon and citrus scents then you definitely need to pick this one up. I bet it will be very refreshing in a bath. 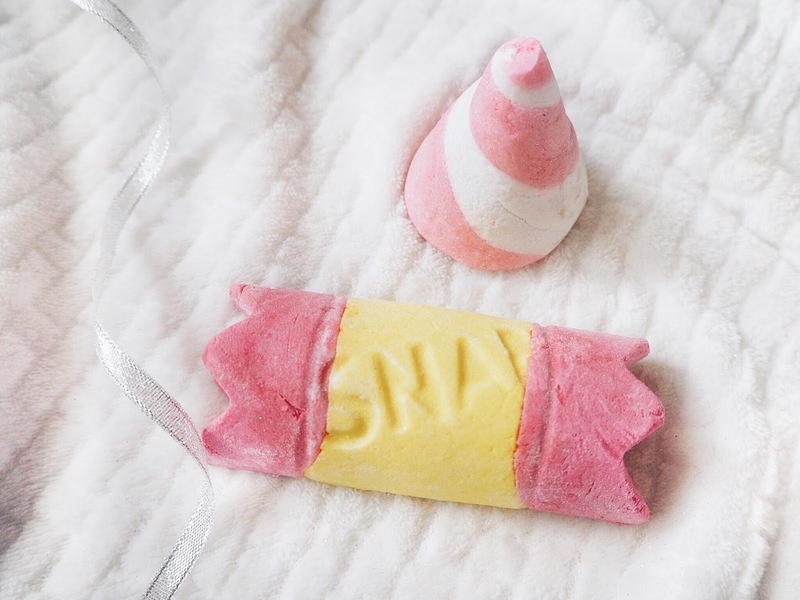 Moving onto bath bombs, I actually only picked one up this year and that was the popular favourite Golden Wonder. This is another LUSH product I pick up every year as I just love the scent and the green/blue colour it turns the bath water. It's a very relaxing product with notes of orange and lime and I'd recommend it to anyone. 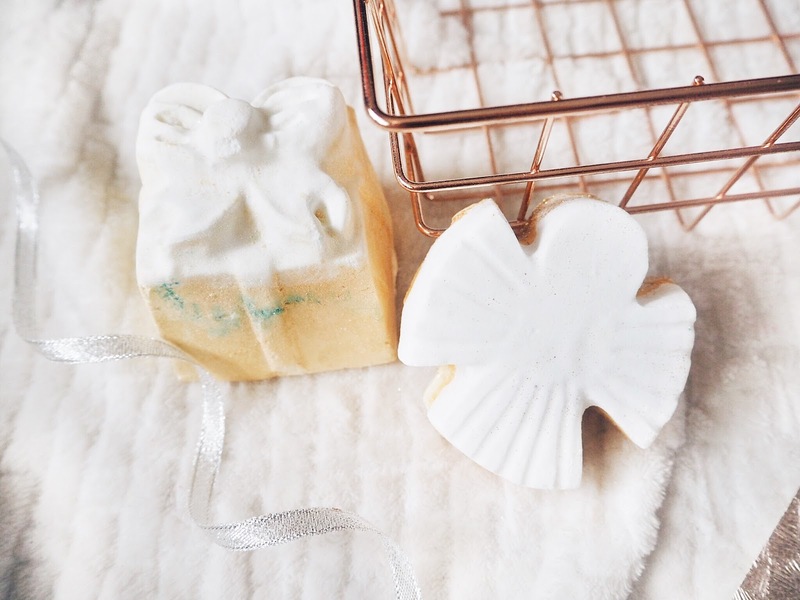 I also picked up a bath melt which was the Snow Angel and this is another one I've tried before. I tried it for the first time last year and I loved how moisturising it was. As it contains cocoa butter it's super nourishing for the skin, just what you need during party season. 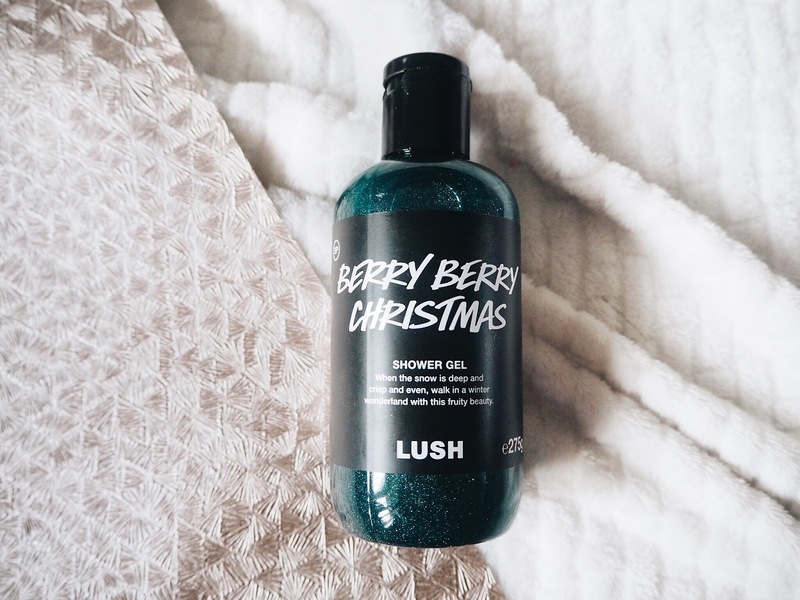 Then last but definitely not least, I picked up a new product which was the Berry Berry Christmas shower gel. I'm not sure if this is a new addition this year but it's the first time I've come across it and after smelling it in the shop I couldn't go home without one. It's glittery and the colour green of a Christmas tree, basically Christmas in a bottle! It has notes of cranberry and blueberry so it's lovely and fruity. I got the medium sized bottle as I loved it so much. So that's what I picked up from LUSH this Christmas, what about you? 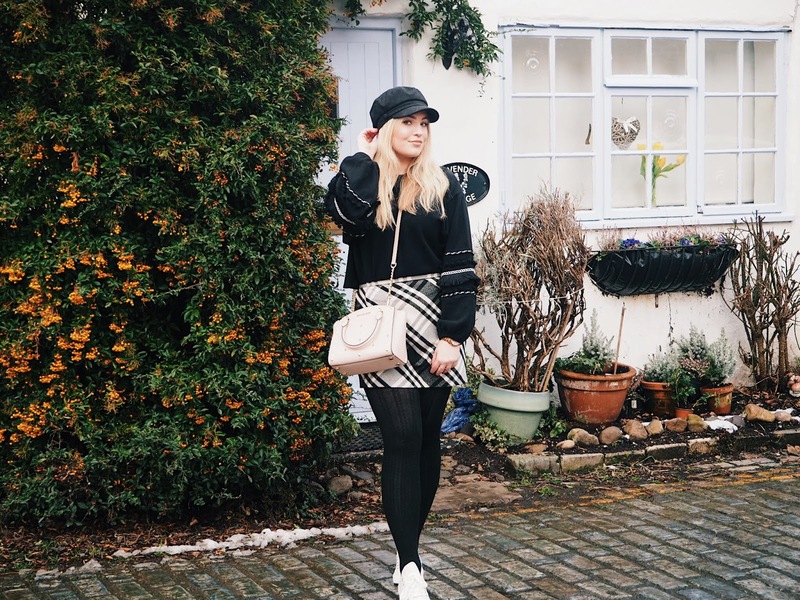 What's your favourite product from this years collection?